Living the best possible life that one can live should be everyone’s goal in life. It doesn’t matter what age we are, the one thing we all have in common is that we want to be happy, fit and feel great. Unfortunately, the thing that stands in the way of our living youthful is our weight. Most of us struggle with excess weight that has created health problems, discomfort, embarrassment or a depressed mood that we can’t seem to shake. When weight gain has taken its toll, people come to us to find their joy again. It’s only through our weight loss program that results come naturally, fast and effectively. We are the experienced professionals at Weight Loss Medical Center who specialize in giving clients an opportunity to once again find their joy and youth through weight loss. 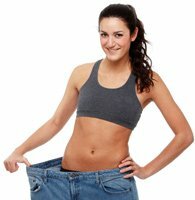 Weight Loss Medical Center is a fully licensed medical clinic which provides a highly successful HCG weight loss diet program to clients throughout the United States. We have the best clinical physicians who have spent years researching and improving HCG diet injection programs, and they have introduced them to overweight clients with amazing results. Due to the success of this diet program, clients throughout the US have sought the help of Weight Loss Medical Center to assist in their weight loss. Whether clients were severely overweight or simply interested in shedding extra pounds, the staff at Weight Loss Medical Center helped them to lose the weight fast. Our mission is simple. We want to ensure that every man and every woman lives life both youthful and to the fullest in a way that’s healthy and safe. We provide physician guided and monitored HCG Weight Loss Programs. Our US licensed physicians will review your medical history, review your interests, goals and concerns while working with you through our clinical advisors to help you learn how to lose weight fast and how to lose weight safely. After completing an evaluation of your current health and goals, our licensed physician will prescribe the HCG medication and it will be dispensed by a US pharmacy. The secret lives in a naturally occurring human hormone called human chorionic gonadotropin (HCG) that eliminates abnormal fat in the body. HCG injections are painless and they are taken in conjunction with vitamin B12 and MIC vitamin complex only once per day for the length of the program, creating a steady supply of HCG to your body. Additionally, the injections are accompanied by a low 700 calorie diet plan and full medical instructions on how to self-administer the medication. At Weight Loss Medical Center, our qualified physicians created the perfect diet program by providing clients with HCG (which will stimulate the metabolism to burn fat), Vitamin B12 and MIC vitamin complex (which provides supplements to aid in increasing energy levels, cellular health and boost both the metabolism and immune system) and a low calorie diet (which drops the weight fast while teaching the client how to make healthier food choices). 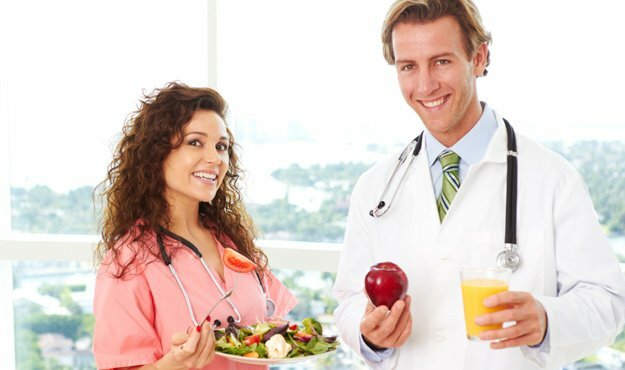 Only at Weight Loss Medical Center are you going to get a full diet program that actually works, along with clinical advisors who walk you through the program from start to finish. Additionally, our staff at Weight Loss Medical Center understands that our clients are busy and that finding a clinic can be a burden in itself. For this reason, we have created a program that allows clients the opportunity to receive their prescription delivered directly to their door from our pharmacy after our physician writes their prescription. No waiting rooms or running around trying to pick up prescriptions. We, at Weight Loss Medical Center, understand that our clients want to focus on losing weight … not losing time. Weight Loss Medical Center empowers clients to take charge of their weight loss while remaining safe. Our researchers work tirelessly to continue the improvement of our HCG weight loss program and its ability to work more effectively. As with any system, medicine, supplements and even what we eat changes depending on our environment and the rapid change of the world around us. Medicine continues to improve, vitamins are more potent and we have a better understanding of food and how certain meals affect our energy level. At Weight Loss Medical Center, we understand the importance of consistent improvement through research. We know that what you eat, when you eat and how you eat plays a major role in either weight gain or weight loss. Given our understanding of how food and calorie intake plays a major role in our HCG diet program, we have improved the calorie diet that works along with our HCG and vitamin supplement injections. The original HCG diet recommended 500 calories per day, however, Weight Loss Medical Center has found major success with our 700 calorie per day HCG plan. With 700 calories per day, our clients are able to work the HCG diet plan with an immune system that is stronger, an energy level that is more vibrant and a more sound mental stability because their brain function is supported. The new 700 calorie diet adds 200 calories worth of protein which helps to build muscle and further encourage fat loss. 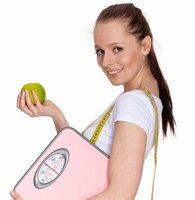 Weight Loss Medical Center will supply you with delicious recipes, grocery shopping lists and complete instructions for rapid and safe weight loss. Our goal is to do what is necessary to help you lose weight and keep it off in a way that is effective and safe. You can trust that we are always on the cutting edge of research when it comes to the best way to lose the weight through the HCG diet plan. At Weight Loss Medical Center, we have the most skilled and professional clinical advisors around. Once a potential client fills out our Information Form on this site, our clinical advisors contact them to answer any questions they may have and to get them started. Our clinical advisors are trained with all of our latest technologies and are more than capable of assisting clients with helping them understand how the HCG diet program can work for them. After clients decide they are ready to take the joyful plunge into HCG weight loss, they then become clients who are on their way to losing up to one pound per day. We have had clients even boast that they lost over 50 lbs on the 42 day program. This incredible weight loss is a direct result of our HCG weight loss client dedication and our staff who take pride in their work. Prior to writing a prescription for HCG injections, our physicians evaluate and analyze your medical records to better understand your medical condition. This is done when you fill out our highly secured Client Medical History Form on this site. The doctors at Weight Loss Medical Center make sure that there is medical necessity for the drug to be prescribed, in addition to making sure that the HCG diet program fits your individual medical needs. 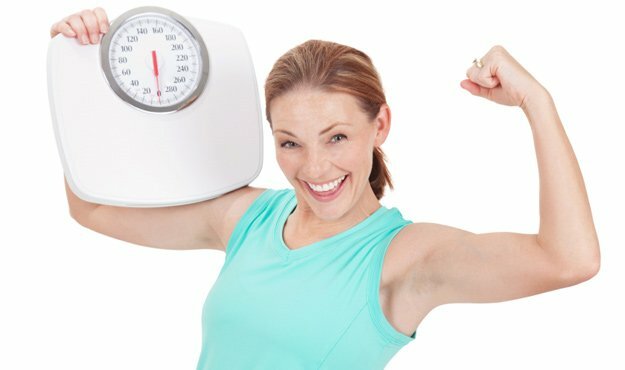 After assessing your medical history and reviewing this information with you, our physicians at Weight Loss Medical Center then determine if HCG is a good therapy for you, if the answer is yes, then our diet doctor issues a prescription for the requested medication and then sends the prescription to our pharmacy. One of our fully licensed FDA regulated pharmacies will ship your HCG Weight Loss Program directly to your doorstep. Our doctors and clinical advisors work hard to make sure that you don’t feel like “just another client” in our clinic. With constant communication with our clients, in addition to continual support and guidance, the physicians and clinical advisors at Weight Loss Medical Center make it their mission to ensure that you lose weight while gaining a healthy and youthful life! I have been on a yo-yo diet since I can remember! I have tried every single diet that ever existed, and I can honestly say that this was the very first diet program that worked for me. I was hesitant at first because I wasn’t so sure about injecting myself with HCG. It was all so new to me. However, I wanted to at least learn more so I filled out the form and when an associate called me, they truly put my fears to rest. Long story short, I followed through on my curiosity and actually got a prescription and went on the program for the allotted six weeks. The needles are so tiny that I barely felt them. I lost so much weight, in such a short amount of time, that my friends and family began to ask how they too could benefit from the HCG diet plan. I make it no secret on how I finally lost my weight. Anyone who has struggled with their weight needs to try this program! I am a diabetic and I truly suffered with my weight, even though I THOUGHT I was eating correctly. With my health being not so great, I didn’t think I would be able to participate in a diet program that had such a low calorie diet and HCG injections. What I found out was that the diet program actually HELPED to improve my condition. I began eating right, and I never felt weak or hungry with the low calorie diet because the HCG and vitamin injections somehow balanced everything out. When the program ended, I continued to eat what the HCG diet program suggested and I look and feel completely different! It didn’t take very long to change my life. I owe a lot to this program. I’m an at home mom and although I tried and tried to eat the right foods, I would always mess up because I kept eating my kid’s left-over snacks. It’s amazing how just nibbling snacks over a period of time can add on so much weight. I talked to a friend who lost a lot of weight through your program and she recommended that I give it a shot. I thought the HCG diet program was for those who were really overweight, however, I learned that I could work the diet program even though I only wanted to lose around 20 lbs. The HCG diet program taught me that no matter how much weight I wanted to lose, I could lose the weight, and even better, I could keep the weight off for good. So now I don’t even have the desire to eat my kid’s snacks because after doing the program I became very settled in my NEW eating habits. I truly love how I look and I love how I feel! The amazing staff at our local HCG Diet Clinics are just waiting to hear from you. They are ready to help you walk this journey toward living well, looking good and feeling good. Do not hesitate to contact us if you would like to learn more about our HCG diet program. The time is now to begin living a youthful life. Our professionals at Weight Loss Medical Center are ready to share with you all of the details regarding this remarkable HCG Diet Shot program. Losing weight doesn’t have to be such a challenge. Call our supportive team so that you can get answers to your questions and get the motivation that you need to make your weight loss dreams a reality. You are no longer on your own in your efforts to lose weight. Call us now so that we can join you with HCG diet doctors and clinical advisors who are experienced in helping others lose weight fast and keep it off.